Crafty Garden Mom: Caught the Downton Abbey Bug Yet? 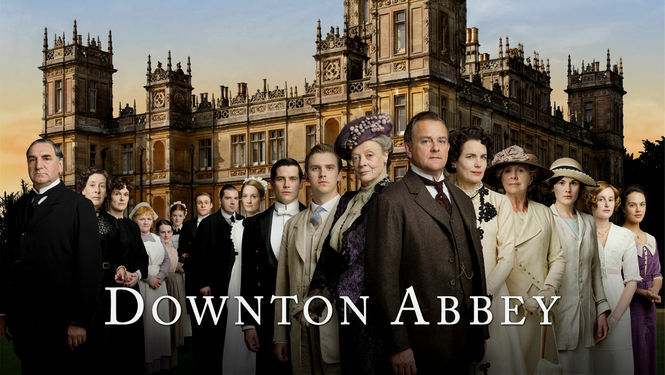 Caught the Downton Abbey Bug Yet? If you read this blog, or listen to my podcast, I'm sure you've heard me mention (many times) how much I love Downton Abbey. I was lucky enough to be able to watch all of Season 2 prior to Christmas, so I am already anxiously awaiting Season 3. Too bad they don't start filming it until next month! 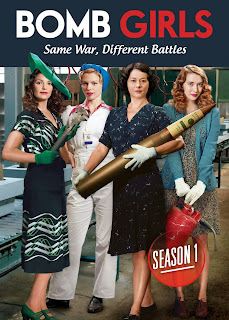 Of course I am watching Season 2 again on PBS this month, along with everyone else. 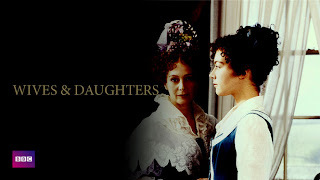 However, my need for more British period dramas has reached obsession-like proportions. I have been scouring the Internet for past and present series to fit the bill and hold me over for another year until DA Season 3. Here is my list of TV series and movies that I will be watching through 2012. In fact, I have already watched several on this list, but figured I would include them here for those of you who are also "period drama obsessed" and want anything/everything you can get your hands on, like me. Many of these are available on Netflix Instant Streaming or Amazon Prime Instant Streaming. I still have the DVD plan on Netflix, so I am fine with getting them that way too....like I said, it's an obsession/near-addiction so I'll take my "fix" any way I can get it, lol. I can't believe I missed this series! I just finished the first 3 episodes of Season 2, so I have a ways to go. I am really enjoying this one. 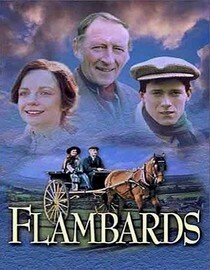 Synopsis: In late 19th-century England, young Laura Timmins (Olivia Hallinan) must adapt to many tough changes when she moves from rural Lark Rise to the wealthy market town of Candleford, where locals contend with the myriad dramas of Victorian daily life. 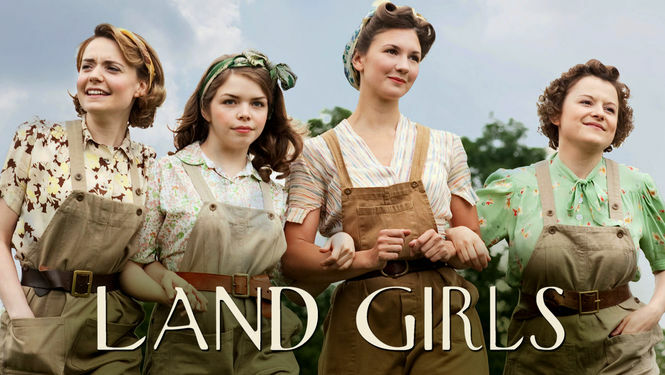 Synopsis: In this BBC-produced drama set in post-World War I Liverpool, England, three sisters (Catherine Tyldesley, Kerrie Hayes, Leanne Rowe) face the usual coming-of-age struggles in a world that offers few choices to women of no financial means. That doesn't, however, stop the Moss girls from finding laughter as well as pain as they struggle to make their way in the world -- one making chocolates, one selling corsets and one working as a parlor maid. 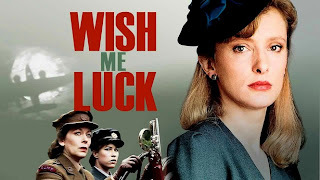 Synopsis: This first-rate period drama follows the adventures of British women -- including housewife Liz Grainger and factory worker Matty Firman -- who are recruited to serve as spies in occupied France during World War II. 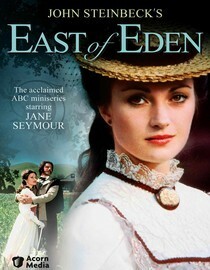 I've already watched this miniseries and thought it was very good! If you listen to The History Chicks podcast, you may recall them mentioning the Edith Wharton's book, The Buccaneers, during the Gilded Age series. Synopsis: Four sisters shunned as "new money" by elitist New York society travel to London to look for husbands, where they're courted by numerous suitors. But as old and new worlds clash, something has to give. That is one miserable-looking hotel maid isn't it, lol? 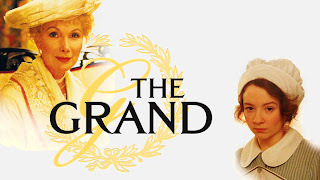 Synopsis: Welcome to The Grand, a four-star, 1920s English hotel where melodrama is served in high style. Love, lust, adultery, greed, prostitution and plenty of juicy gossip come into play as owners John and Sarah Bannerman host a crop of colorful characters. 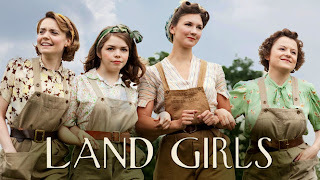 Synopsis: "Land Girls" is a period drama set on a farm in the English countryside during World War II. The program follows the lives, loves, highs and lows of four Land Girls (members of the Women's Land Army) working at the Hoxley Estate. 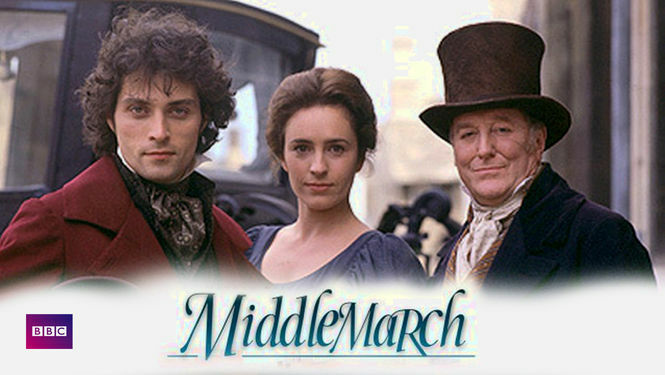 Synopsis: Adapted from George Eliot's novel, this BBC miniseries tells the story of virtuous Dr. Lydgate (Douglas Hodge), who heads up Middlemarch's hospital, and well-do-to Dorothea (Juliet Aubrey), who's determined to help the needy. Along the way, the dreams of these two altruists are derailed by bad marriages and selfish people, yet they also play a part in their own demise. Will this deserving pair find happiness in the twisty-turny conclusion? 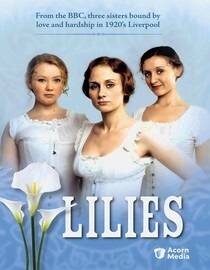 I can't tell you how much I enjoyed this period drama. The only problem I had was that it ended after the first season, and ended with a cliffhanger! That was very disappointing, but it's still well worth watching. 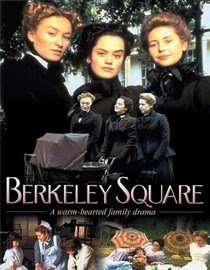 Synopsis: In the posh London enclave of Berkeley Square in 1902, a deep friendship blooms between three young nannies: tough East Ender Matty (Clare Wilkie), heartbroken Hannah (Victoria Smurfit) and naive farm girl Lydia (Tabitha Wady). 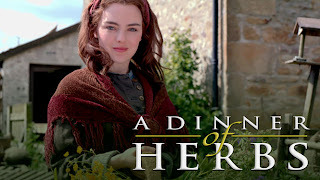 Meticulous period detail, a rich soap opera plot and winning performances highlight this enormously popular 10-episode British miniseries, a bighearted drama of the Edwardian era. I vaguely recall my Mom watching this series, but I never had a chance. It sounds really good, so this one may move up higher on the "to-watch" list! 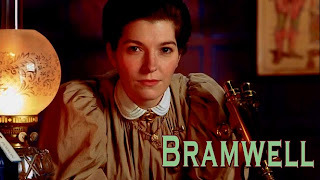 Synopsis: In Victorian London, independent Dr. Eleanor Bramwell (Jemma Redgrave) defies societal conventions by pursuing her chosen profession, and after she is fired for disagreeing with a male doctor, wealthy Lady Peters helps her open a free clinic in a poor neighborhood. OK, this one is set in Canada, not the UK. But as a HUGE fan of Lucy Maud Montgomery and the Anne of Green Gables/Avonlea books, I cannot help but add this to my list! 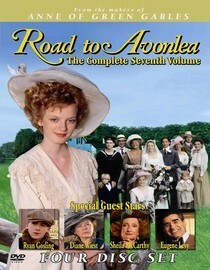 Synopsis: Lucy Maud Montgomery's beloved stories come to life in this enchanting series about young Sara Stanley (Sarah Polley), who struggles to adjust when she's forced to leave her luxurious home in the early 1900s and live with relatives in the small village of Avonlea. Sara finds adventure with her cousins but often argues with her imperious Aunt Hetty (Jackie Burroughs). As she matures, Sara learns about romance, independence and responsibility. Having already seen the original series (and if you haven't, it's definitely one-to-watch!) I am looking forward to this one. Yes, I know there's something to be said about not fixing what isn't broke, but this has received rave reviews. It looks like it picks up where the original one left off. 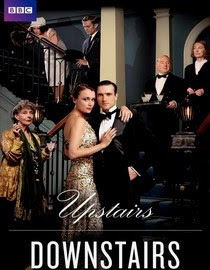 Synopsis: It's 1936 and Sir Hallam Holland and his wife have bought the iconic London townhouse at 165 Eaton Place. Luckily, former Eaton Place maid Rose Buck, now at the helm of her own agency, knows just what kind of staff the diplomat and his new home need. Synopsis: The passionate, turbulent and controversial love affair between a British-raised Indian man and an Englishwoman during the waning years of the British Raj is portrayed in this Masterpiece Theatre miniseries based on Paul Scott's novel The Raj Quartet. Spanning 14 episodes shot in exotic locales in India and England, this exquisite human epic received an Emmy Award for Outstanding Limited Series and a Golden Globe for Best Miniseries. Synopsis: Set during the raucous Roaring Twenties, this television drama follows suddenly orphaned sisters Beatrice and Evangeline Eliott (Stella Gonet and Louise Lombard) as they start a haute-couture fashion business amidst the free-spirited hustle and bustle of London. As the sisters carry on scandalous affairs and otherwise gain worldly sophistication, they battle embezzling bankers and deal with other threats to their expanding fashion empire. Synopsis: Family life changes drastically for the good-natured Molly Gibson when her widowed father decides to remarry, and a woman with her own set of rules -- and a beautiful daughter -- becomes her stepmother. This is a U.S. based TV show I vaguely recall watching several episodes of when it aired in the early 90s. I have seen rave reviews for it on Netflix and Amazon, and most series like this with a strong, independent woman merits a look in my house! Synopsis: Set in turn-of-the-century Appalachia, this heartwarming family drama centers on determined 19-year-old Christy Huddleston (Kellie Martin), who leaves her upper-class city lifestyle for the rural community of Cutter Gap, Tenn., to teach impoverished children. Christy takes time adjusting to the villagers' social customs and way of life, and soon becomes romantically drawn to two men in this series based on author Catherine Marshall's best-seller. Synopsis: Childhood pals Roddy, Hal and Mary Ellen reevaluate their relationships as adults in this sweeping epic. After an affair that leaves Mary Ellen pregnant, Roddy rejects her and leaves town, forcing her into a safe marriage to Hal. Synopsis: Set in the 1940s, Bomb Girls tells the remarkable stories of the women who risked their lives in a munitions factory building bombs for the Allied forces fighting on the European front. The series delves into the lives of these exceptional women from all walks of life peers, friends and rivals who find themselves thrust into new worlds and changed profoundly as they are liberated from their home and social restrictions. OK, "Presumptive American" moment here. I have seen this series pop up as a "recommend" in my Netflix account many times. I kept passing it over since I assumed they were referring to the United States North & South series, which I have seen several times (young, shirtless Patrick Swayze..enough said) Well dip me in dumb sauce, because this refers to North & South England. Doh! 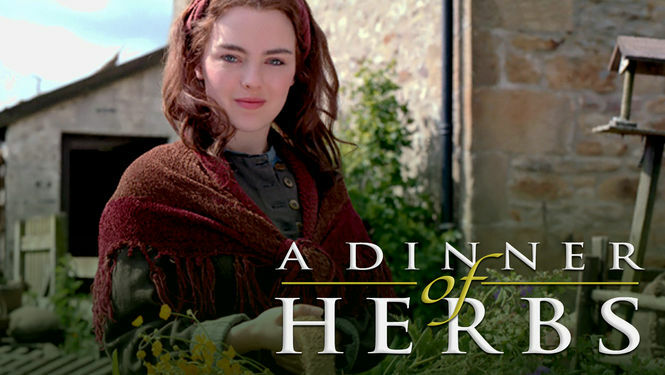 Synopsis: When her father moves his family to an industrial mill town, the parson's daughter, Margaret Hale, struggles to adapt to her harsh new surroundings. 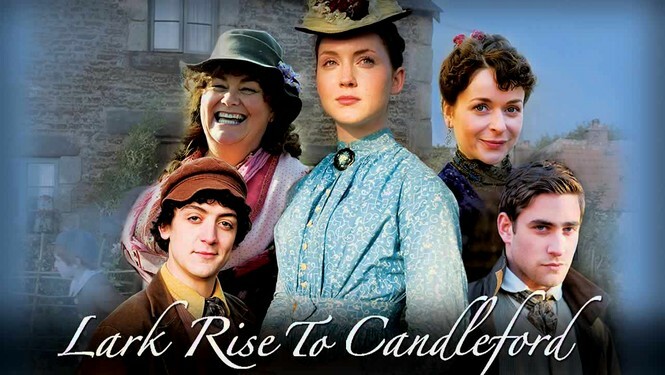 This BBC series is based on the popular novel by Elizabeth Gaskell. Synopsis: The trials of the Trask family unfold across three generations of American life as a beguiling but venomous beauty (Jane Seymour, in a Golden Globe–winning turn) sets in motion events that drive a permanent wedge between brothers. Arguably the most faithful adaptation of John Steinbeck's epic novel, this acclaimed 1981 miniseries features a star-studded cast that also includes Timothy Bottoms, Bruce Boxleitner and Lloyd Bridges. Synopsis: Adapted from the novels of celebrated Victorian author Elizabeth Gaskell, this Emmy-winning BBC miniseries follows a group of women in a town wrestling with modernity and the inevitability of change. Based on the huge success of Downton, I suspect we will see several more period dramas coming our way this Fall and next year. I can almost hear the U.S. television execs scrambling over one another to scoop up any likely candidate screenplays, can't you? I would love to hear from you if you plan to watch any of these throughout the year. And if you know of any others, let me know! edited 1/24/12 to add a few more! Synopsis: Recently orphaned, Christina (Christine McKenna) is sent to live at the Essex estate of her wheelchair-bound uncle and finds herself thrust into a male-dominated world centered around the hunting and drinking antics of her two cousins. Based on the award-winning trilogy of novels by K.M. Peyton, this miniseries set in the early 1900s follows Christina as she struggles to find her place -- both within her family and in a rapidly changing world. Synopsis: After a lifetime in the spotlight, Lady Slane (Wendy Hiller), the 85-year-old wife of a recently deceased politician, is allowed to shed her public persona and retreat to a cottage in the Hampstead countryside. But rediscovering her identity is no easy task with meddlesome family members constantly questioning her propriety. 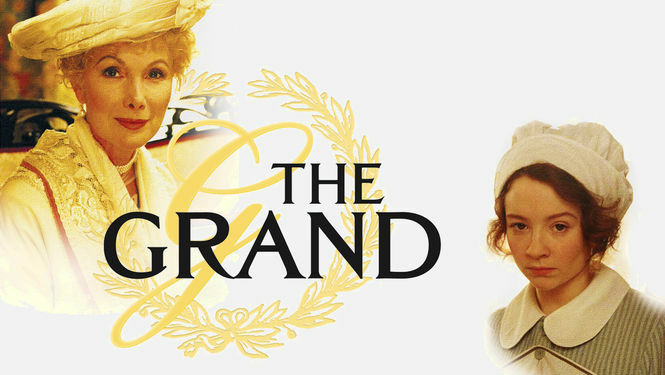 Adapted from Vita Sackville-West's classic novel, this acclaimed Masterpiece Theatre production was nominated for four BAFTA awards. 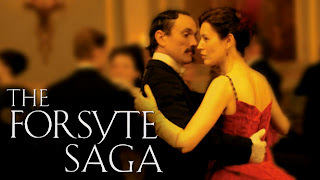 Synopsis: Romance, surgery and history combine in this vivid, atmospheric drama based on the lives and case notes of doctors, nurses and patients at the Royal London Hospital a century ago. 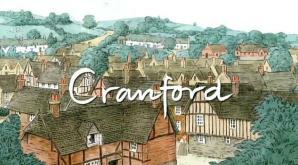 Synopsis: Denise Lovett (Joanna Vanderham) is the bright-eyed country girl who finds more than just shop-girl work when she brings her clever ideas and ambition to The Paradise, a glamorous, Victorian-era department store. John Moray (Emun Elliott) is the store’s dashing and enigmatic owner, an entrepreneur with more than his share of passion -- and secrets. 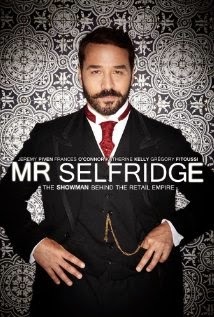 Synopsis: Centers on the real-life story of the flamboyant and visionary American founder of Selfridge's, London's department store. 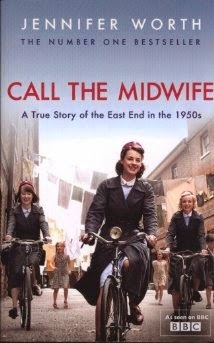 Synopsis: Call the Midwife, based on the best-selling memoirs of the late Jennifer Worth, tells colorful stories of midwifery and families in London’s East End. The third season takes viewers to 1959, the eve of the Swinging Sixties. The winds of change are sweeping through the country and the residents of Nonnatus House face some momentous changes of their own. 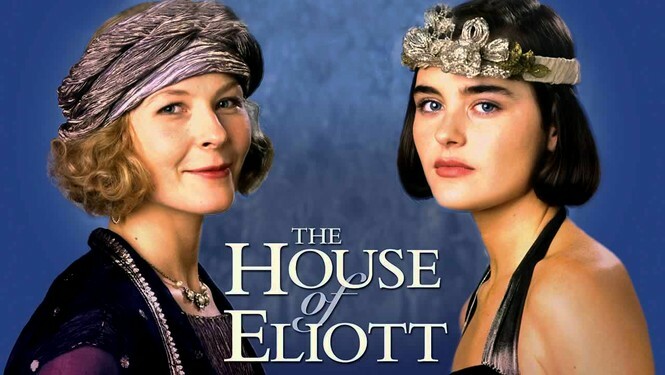 Synopsis: Join Elizabeth McGovern (Downton Abbey) as she takes an in-depth look at the young American heiresses whose real life stories inspired the acclaimed TV drama "Downton Abbey." 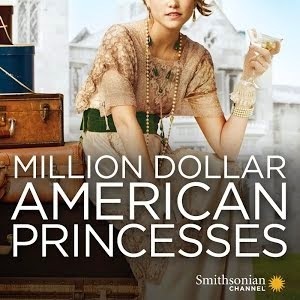 This series explores the time between the 1870s and the outbreak of World War One, when more than 200 daughters of America's new industrial millionaires marry into the money-strapped British aristocracy. They use their affluence, allure and ingenuity to their advantage, and they bring dramatic changes to the English ruling class and eventually the world. Synopsis: One of the untold stories of World War 1. 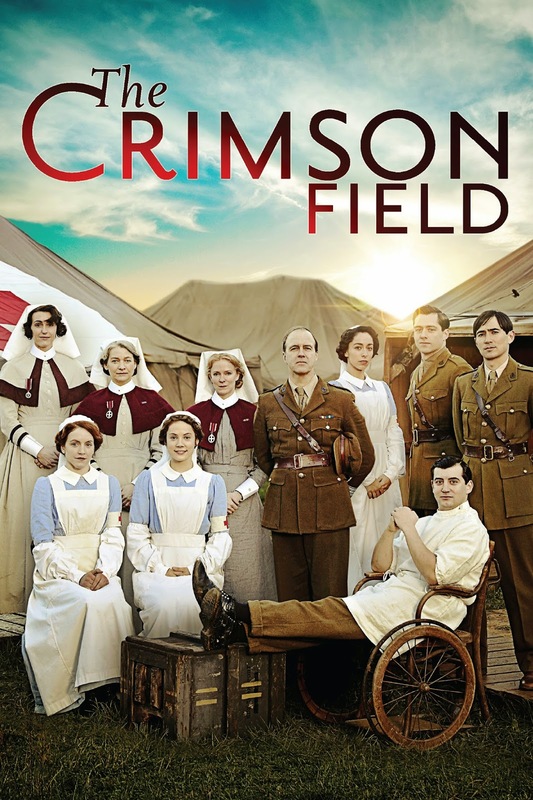 Kitty Trevelyan tries to put the past troubles behind her as she joins two other girls to volunteer at one of the busy war hospitals in northern France. Thanks for all the great recommendations. However, the big thing I'll be taking from this post is, "Dip me in dumb sauce!" I love it! Never heard that one before, but I'm sure to find ample opportunities to use it, with your permission of course! I've got a couple of these on my list and will definitely be adding a few more! Thanks for the reviews. I tried Bramwell at one point last year or over the summer...it didn't grab me. I don't recall what my issue was with it but I remember having high hopes, liking the concept, but I just couldn't stick with it. I'll be really interested to hear what you think. If you love it, I may give it a second chance. BTW, I know they're not miniseries, but BBC versions of Jane Austen novels are always extremely well done! I particularly like Persuasion. @Jane: lol, we've said that in my family for as long as I can remember. Of course you can use it! @Sandy:thanks for the head sup on Bramwell. I always give a series 3-4 episodes to catch their stride and see if it gets me hooked or not. From the reviews I saw, it was very good the first 3 seasons and then it was unanimous season 4 was terrible, lol. Yes the BBC version of Pride & Prejudice with Colin Firth as Darcy may be my favorite DVD set I own. I am still kicking myself because Costco had the complete series of BBC Jane Austen DVDs on sale around Christmas and I didn't buy it. As much as I enjoy them all, I should have definitely picked that up. Tanesha, what a great synopsis, thanks so much for it! i´ll check all theses series out over the weekend and certainly will find one (or eight..) i like. I watched Downton Abbey some weeks ago, loved it and now i am hooked. Tanesha, I am new to podcasts and I love yours! 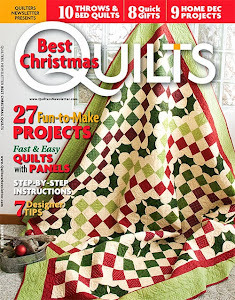 Thanks for the book reviews, updates on your kids and the quilting tips. 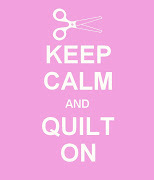 I currently don't have a sewing machine :( but hope to find one soon!!! !